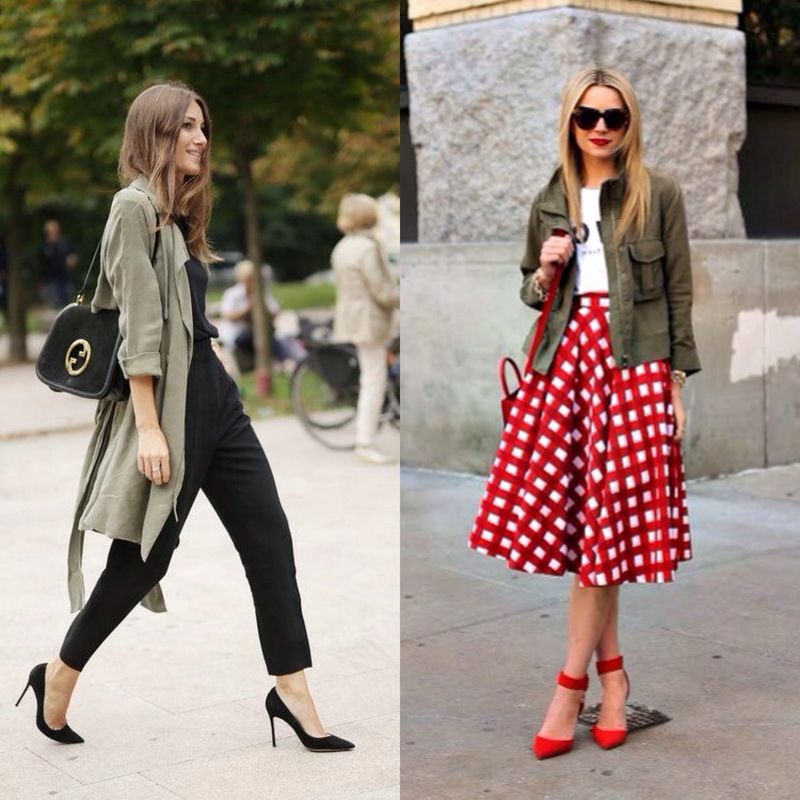 Soon it will be a new season and there’s a colour that’s dominating the runways and streets. 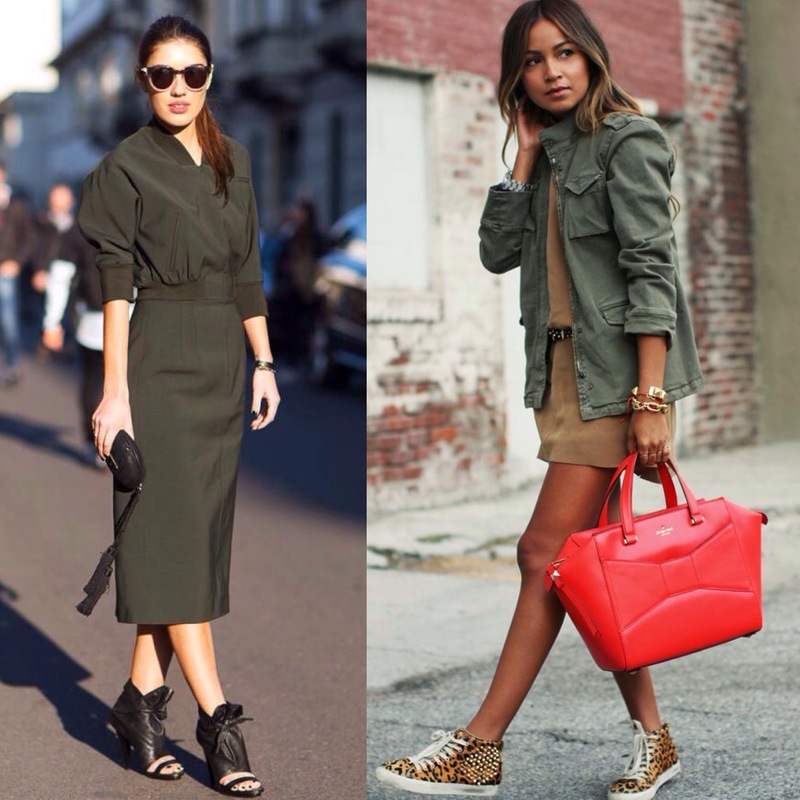 Khaki green military inspired pieces are popular internationally and it’s coming our way for Autumn/Winter. I have already spotted a few pieces in store. 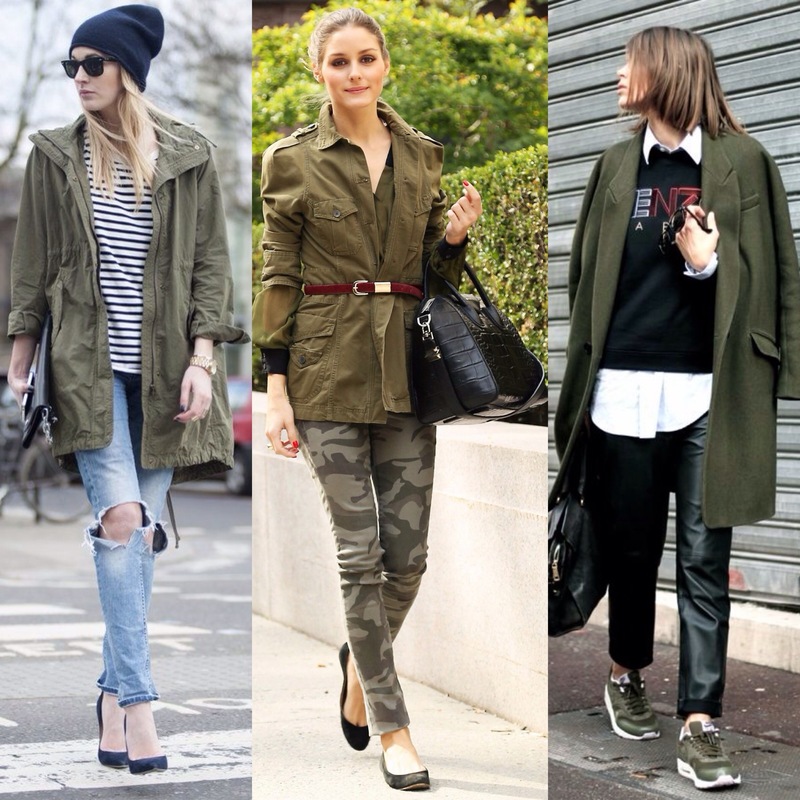 The most prominent items of clothing in this hue are skinny jeans/pants and trench coats and parka’s. 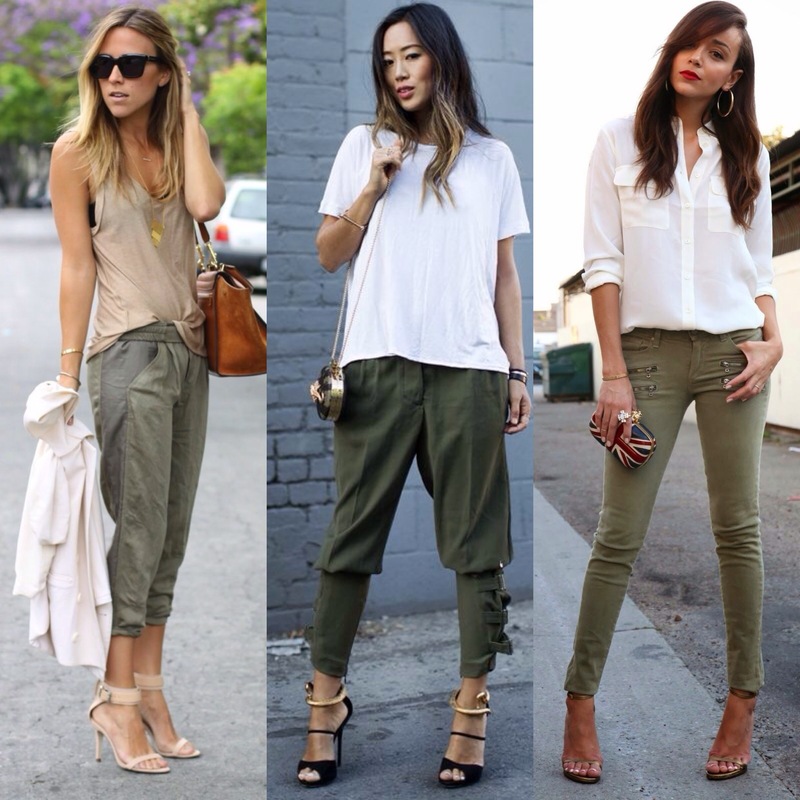 The great plus is that the colour works with most neutral staples like black, white and beige. I find the khaki green a little dull to be honest and I don’t own anything in the hue but I quite like how it looks paired with a white T-shirt and gold accessories. Also red picks it up completely surprisingly, pair with a red shoe or handbag. I’m not ready to embrace the cold yet but I think it’s time to start adding to my winter closet. I always regret not buying the things I see first expecting better stuff to come out.